It turns out that this old saying indeed makes sense. Recent studies show that people who make breakfast their largest meal are less likely to be overweight or sick compared to people who eat their largest meal at lunch or dinner. It is important to start the day with nutritious food that will boost your energy levels and help you get through the day. Eating healthy right upon waking up will also help you make healthier choices during the day. Plant-based foods are pretty much the ideal option as they are packed with vitamins, minerals, and fiber. B-vitamin-rich foods are particularly amazing, given that they provide you with lots of energy. Plant-based fats and proteins are filling, so they will keep you satiated until lunch time. Papaya is known for its high vitamin C content and potent anti-inflammatory properties. It is particularly good for the digestive health, as its papain content helps digest protein easier. 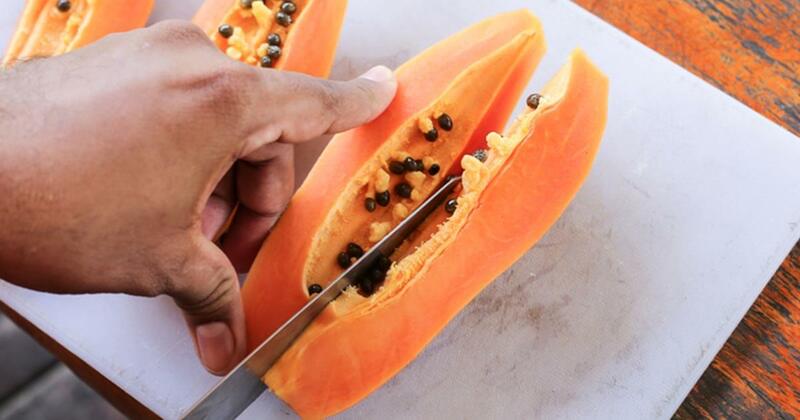 Papaya can be eaten alone, in a fruit salad, or mixed with yogurt and granola. What makes berries a great fruit choice is their low GI level. They are abundant in antioxidants that prevent free radical damage and keep the body healthy and happy. Berries are quite versatile, so you can consume them in many different ways! They make a great addition to fruit salads and green smoothies and taste great when mixed with coconut yogurt and granola. Of course, you can eat them as they are too! Bananas are affordable and available all year round. They are packed with vitamin B6 and potassium, both of which are beneficial for the nervous system. Additionally, they are great source of tryptophan, which is good for the hormones. Chia seeds are a complete protein source, bur also high in B vitamins, essential fats, magnesium, and iron. You can make a mouthwatering and healthy breakfast by soaking them in almond milk or coconut milk and top with fruit like berries and bananas. Green juices and smoothies are great as they give you a chance to get creative and come up with a new breakfast every day. Green juices provide you with easy energy as the get to the blood rapidly, while smoothies provide you with more sustainable energy. Both options are loaded with greens like lettuce, parsley, kale or whatever you opt for.